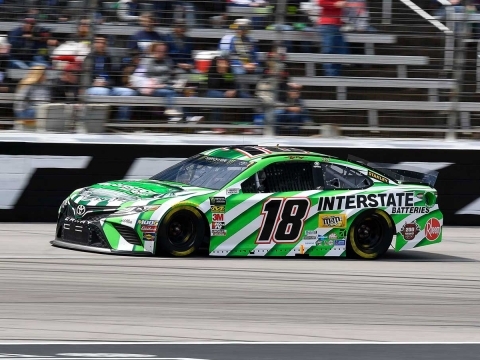 HUNTERSVILLE, North Carolina (April 2, 2019) – With 53 Monster Energy NASCAR Cup Series wins and 203 overall wins amongst NASCAR’s top three series, Kyle Busch knows a thing or two about tasting victory whenever he straps into a racecar. How much do you look forward to Bristol each year? What is the most challenging aspect of Bristol? Do you think anyone will ever win another seven races in a row at Bristol, like Darrell Waltrip did from 1981 to 1984? How have you figured out the best way to get around Bristol Motor Speedway? What makes Bristol Motor Speedway so unique and a place that fans love? The Food City 500 will mark Kyle Busch’s 506th career Monster Energy NASCAR Cup Series start and his 28th NASCAR Cup Series start at Bristol (Tenn.) Motor Speedway. Busch has career totals of 53 wins, 31 poles, 188 top-five finishes, 276 top-10s and 16,277 laps led in 505 career Cup Series races. His most recent Cup Series win came three races ago at Auto Club Speedway in Fontana, California, his second consecutive Cup Series victory. Busch’s most recent pole, the 30th of his career, came in October at Martinsville (Va.) Speedway. Busch has seven wins, 10 top-five finishes and 15 top-10s and has led a total of 2,233 laps in 27 career Cup Series starts at Bristol. 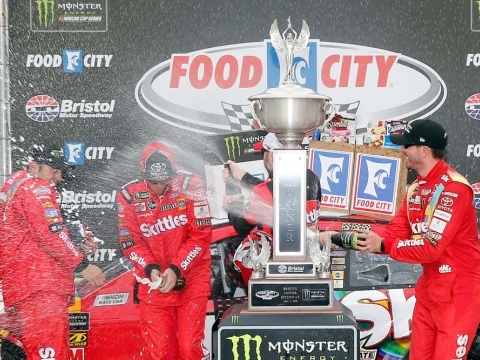 Busch’s average Bristol finish is 14.3.